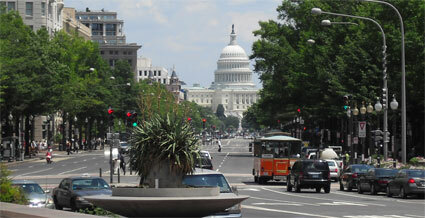 Enjoy the virtual tour or use the printable version to take a self-guided, two-mile tour through some of the oldest parts of Washington, D.C. For an abbreviated self-guided, 1-1/4-mile tour, begin at tour stop #7. 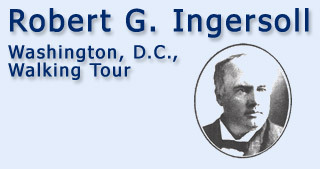 Since the Ingersoll grave is in Arlington National Cemetery in Virginia, it is not part of the walking tour, but it can be visited separately. Guided group tours are available on a limited basis.